Mark is highly sought after for his integrity, experience, and expertise in a broad range of musical styles. One of Mark’s greatest achievements to date has been the creation, recording and performance of “Bata Ketu” with San Francisco musician, Michael Spiro. It is registered with the Smithsonian Institute and has received funding from the Rockefeller Institute. Mark is the Director, Manager and lead percussionist for SOL e MAR, a dynamic Brazilian/Latin and Caribbean music and events collective which he co-founded in 1985. 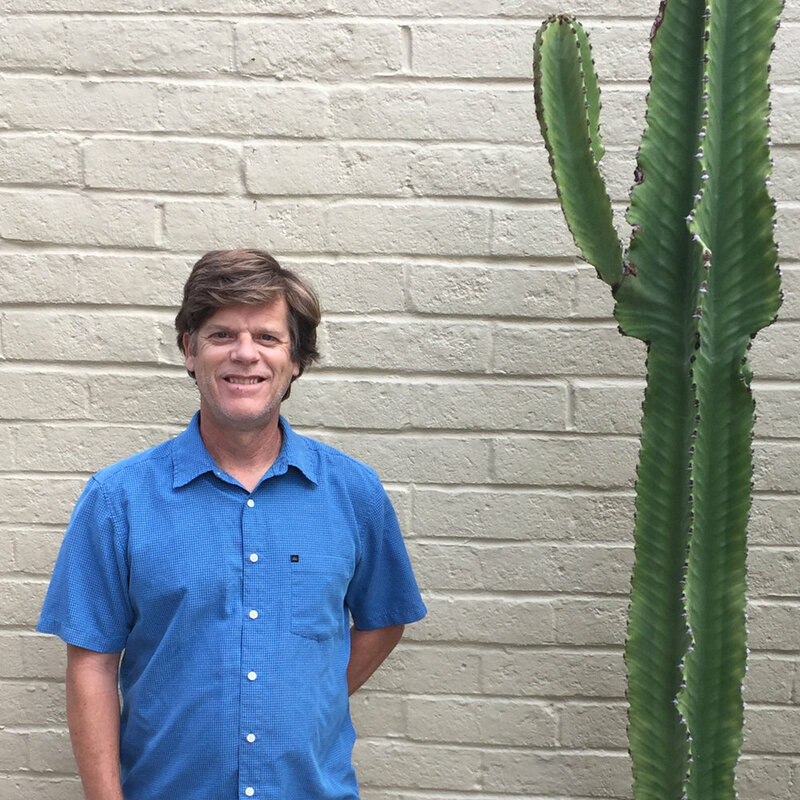 Mark is recognized around the globe for his abilities as an educator and workshop clinician. Mark currently serves as an artist in residence Facilitator for both the Arts for Learning and Center for World Music- both non profits are located in San Diego, CA. Mark has developed music education programs for all ages, from kindergarten to Senior Citizens. In addition to serving for twenty years as an adjunct faculty member at San Diego State University, Mark served for twenty years as a faculty member for the prestigious California Brazil Camp. Mark is currently serving in the capacity of adjunct faculty in the World Music department at Palomar College in San Marcos, CA. In the past, Mark has been on the adjunct faculty for CSU Long Beach, Santa Clara University and has been a guest lecturer and conducted clinics at UCSD, UCLA, Portland State University, Wisconsin State University, Lawrence University, Tulane University, Arizona State University, University of Arizona, UC San Marcos, University of Nevada and has conducted numerous International workshops. In 2013, Mark was commissioned by the U.S. State Department to conduct an Artist in Residency in Monterey, Mexico. Mark served as the Artistic Director for Soul Beat a California non profit located in Barrio Logan for seven years. He received the honor of being awarded an Artist in Residence grant from the California Arts Council that ran for three consecutive years. Ellie Lamson is an entrepreneur and a creative visionary who has spent her life answering the call to be a part of changing the world for the better. She is passionate about inspiring people to live the best version of themselves. She encourages people to go for their dreams and to Dream Big! Ellie is a committed and peaceful activist. She believes in the unique and authentic expression of each individual. Her interest? Health, Creative Expression through the arts and having fun! Three words she would use to describe herself? Inspiration- Healing and Enlightenment. Kimberly Miguel Mullen, M.A. is an internationally acclaimed choreographer and dancer has earned a Master of Arts degree in Dance from UCLA’s Department of World Arts and Cultures and actively pursues her interests in dance ethnography, traveling throughout the world while creating links among cultures through the expression of dance. Kimberly offers spirited and educational dance classes, workshops, retreats, and cultural immersion programs worldwide and is a University dance professor at Occidental College. Kimberly is recognized as a popular dance and fitness DVD personality and choreographer renowned for infusing traditional dance forms into mainstream markets. Her debut dance workout DVD, “Dance and Be Fit: Brazilian Body,” was awarded “Best Dance DVD” by Health Magazine in 2009. The Los Angles Times has described her movement as “spectacularly supple,” a well-crafted mixture of Silvestre contemporary dance and traditional techniques from the African diaspora. Hazel is amazing! She has many passions in life and a few of them are hiking long trails in nature with her dog Cane. She loves to travel the world and watch the Padres baseball team with good friends and family. She and her partner Jake are both very talented musicians. Hazel is a singer/songwriter and plays the piano. Hazel brings ten years of business and accounting experience. 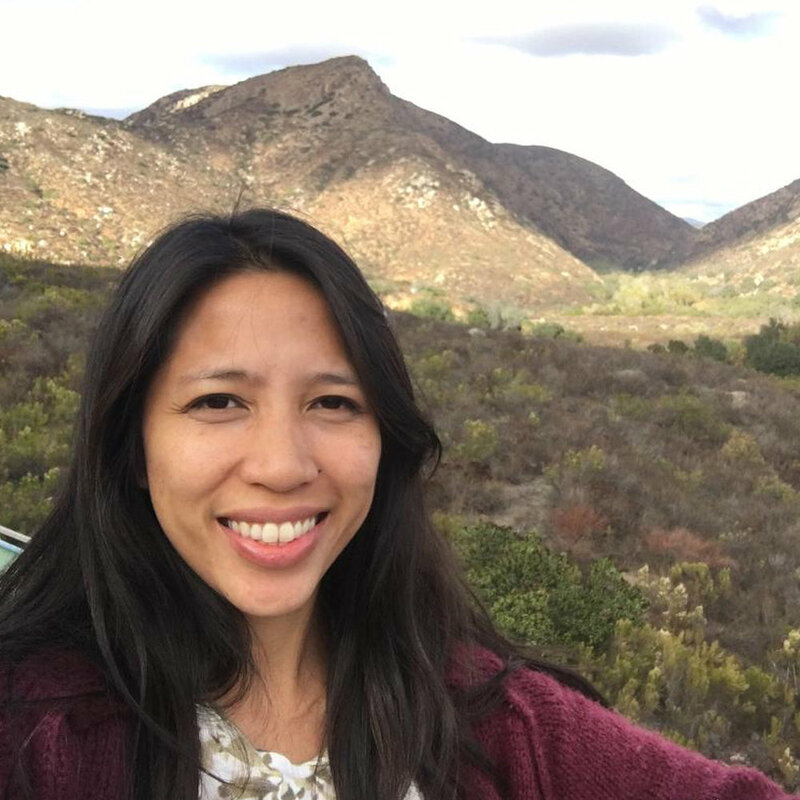 She is currently employed as a Senior Accountant for Abacus Data Systems in San Diego - and volunteers her time doing accounting and taxes for friends who are following their passions and entrepreneurism. Hazel is a strong believer in giving back and being of service to her community and the world at large! Ken is a hands on, Detail oriented artist with experience in quality art fabrication. He brings 30 years of experience working with diverse materials such as paint, metal, wood, glass, acrylic and beads. He holds a very distinguished certification from the Campbell Center in Mount Carol, Illinois which gives him the ability to hand rare art and artifacts along with overseeing the installation and exhibition as well as the long term storage of these artifacts! Ken was employed by the prestigious Museum of Man in Balboa Park for 8 years with the responsibility of building and overseeing all exhibits. He then went to work with the Children’s Discovery Museum in Escondido in the same capacity for 3 years. He currently is a freelance artist and handles art and and exhibits for Museums throughout the County such as the Japanese Friendship Garden, Japanese History Society, Museum of Making Music and various Art Galleries. Originally from Wilmington, Delaware, Chris moved to California in July 2008. He has been playing guitar for 20+ years and has a vast understanding of various styles, genres, and musicality. He has been teaching since 2013 with experience ranging from private instruction to small combos. Chris has studied Classical and Contemporary Theory and Ear Training at SD Mesa. He has performed in jazz ensembles under the direction of Bob Magnusson, Vocal Ensembles with Dr. Richard Chagnon and private lessons with Bob Boss. Chris has completed courses in composition, voice, Jazz and World Music Histories. He has experience performing in various stage acts, touring, writing and recording with an array of talented musicians. Chris’s personal aspiration with music is to always create with the tools that inspire the most. Every student’s lesson will vary with skill level and interest while reinforcing rhythm, accuracy and self-confidence. Chris Hazewski is a fun and adaptive music teacher and instructor. He firmly believes that everybody innately possesses musical capabilities. “We are all able to sing and play and I’m here to help our students realize that they have a unique voice. It is sometimes more apparent to some, while others’ talents may need a little more coaxing” he acknowledges wholeheartedly. Small in stature - yet one of the mightiest souls we know on this planet! She is one of the top instructors and competitors at the famous 10th Planet and leads multitudes of women and kids into discovering their own personal strength and empowerment through the self defense art of Jiu Jitsu. She is fierce and determined while sweet and playful in her teaching style. We are honored to have her on the World Passion Project Teaching Roster! Jane is here on this planet to share her bright light and show others how to shine. She moved from New Jersey to California in 2009, received a Bachelors in Psychology at the University of California, Santa Cruz. For the last decade, Jane has worked with children and in Yoga Studios. She has been a Teacher’s Aide, a Nanny, and even a Gymnastics Coach. Her work with children is always unfolding. Jane’s passionate about helping others be the best version of themselves and that is evident when she engages with young people. Jane has created a fun and spontaneous method of teaching yoga to kids She takes elements of nature and the animal kingdom to bring forth concepts and postures. Her class is warm hearted and fun. Jane enjoys yoga, meditation, kayaking, crafting, and reading. Molly Behunin is a yoga instructor who was trained in vinyasa yoga at Core Power in 2015. She taught at Steele Canyon High School in 2016 where she discovered her passion for teaching yoga to youth. When Molly was a kid she was always involved in some kind of movement- dance, cheerleading, gymnastics, ext. and realized what a positive impact it has had on her entire existence. When she discovered the power of yoga at 18 she decided that it was her soul purpose to share the wonders of mind-body connection with the world. Her intention is to help both adults and children recognize all of the happy things in life to share gratitude for and to have men- women and children compassionately connect with their community. Her creatively designed classes take participants on an empowering, educational, imaginative journey. Each practice is infused with music, sensory elements, movement and creative props. Every class is individualized with an educational craft that ties into the intention, or theme of the practice. She believes that there is nothing more rewarding than providing space for people to openly and truly express themselves in a positive, creative way and ignite the use of positive language at any age.